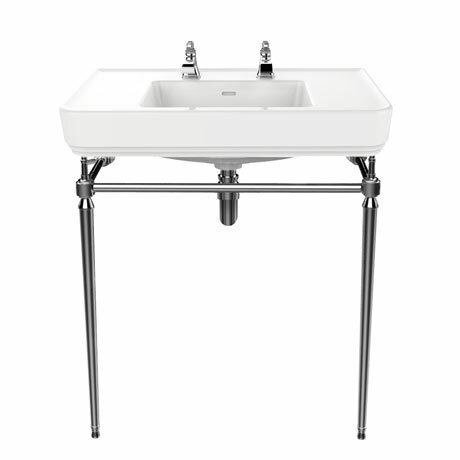 The elegant and stunning Abingdon Large Wynwood basin and washstand will create a focal point in any bathroom. Beautifully designed and crafted from high grade materials that ensure long lasting durability. The white ceramic basin comes available in various tap hole options while the chrome washstand can be combined with the towel rail or glass shelf add-on (sold separately). For peace of mind Heritage offer a 5 year guarantee. Pictures shown are for illustration purposes only (2 Tap Hole Shown).